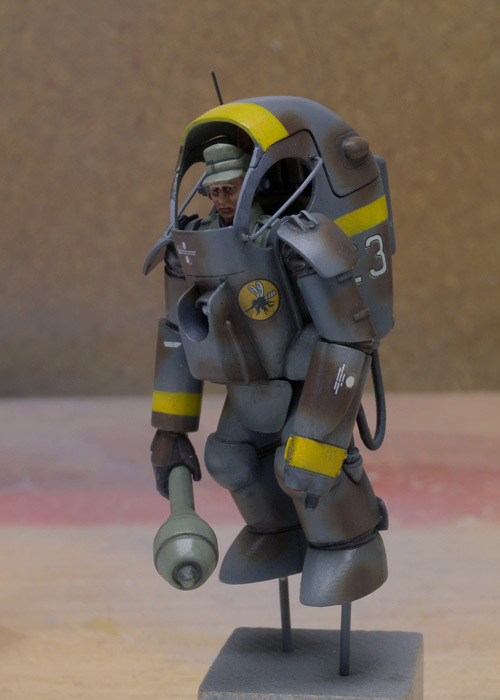 The Gustav is one of my favorite suit designs no matter what the scale. 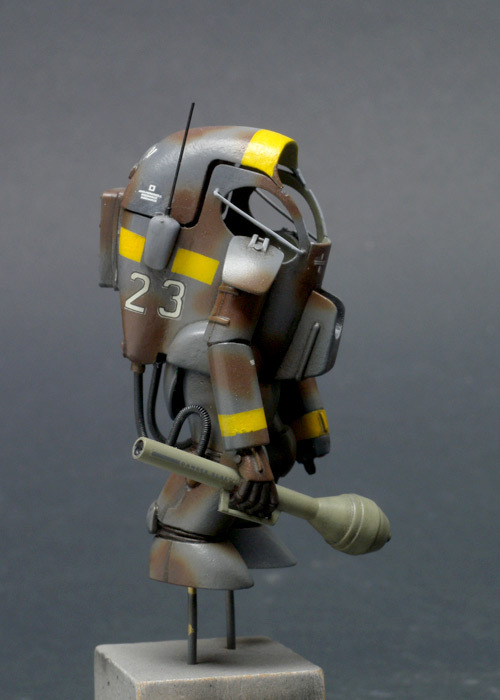 This is a build of the D3 Works 1/35 Resin Gustav which is only available at the WonderFestival garage kit event in Japan. 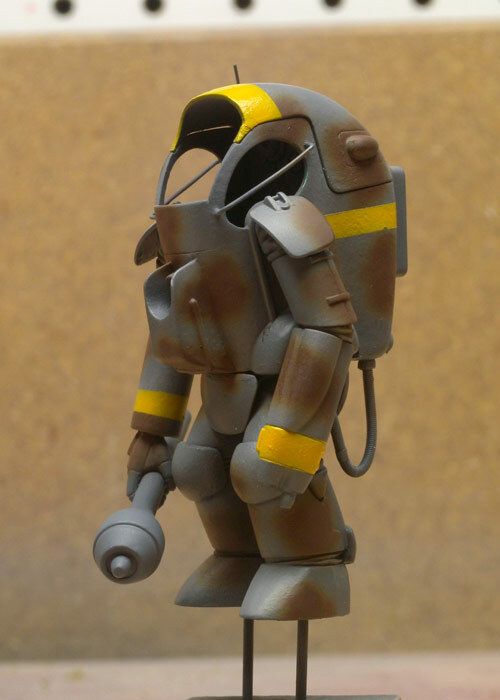 This kit was a breeze to assemble and a joy to paint. 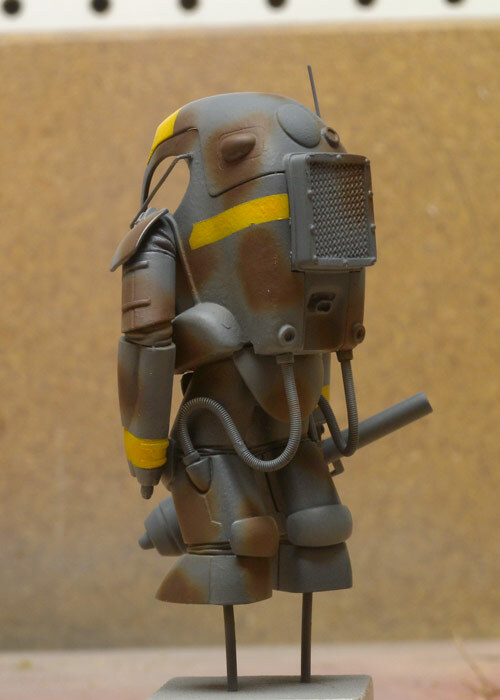 I didn't create an in progress page but I did take a few progress photos. 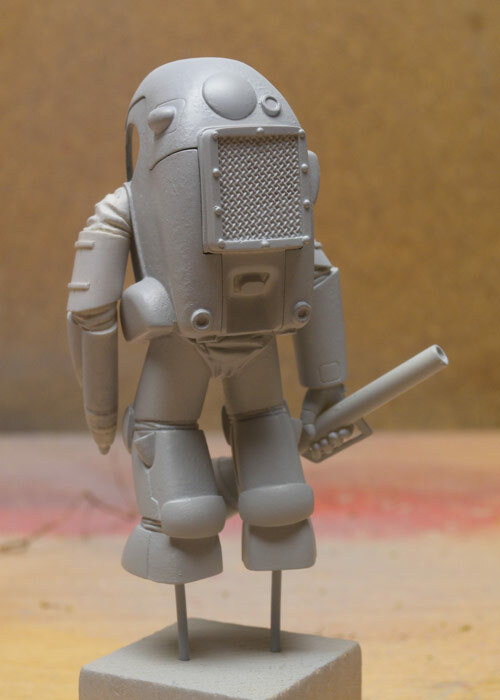 The assembly was straightforward while paint and weathering are pretty much the same only smaller. 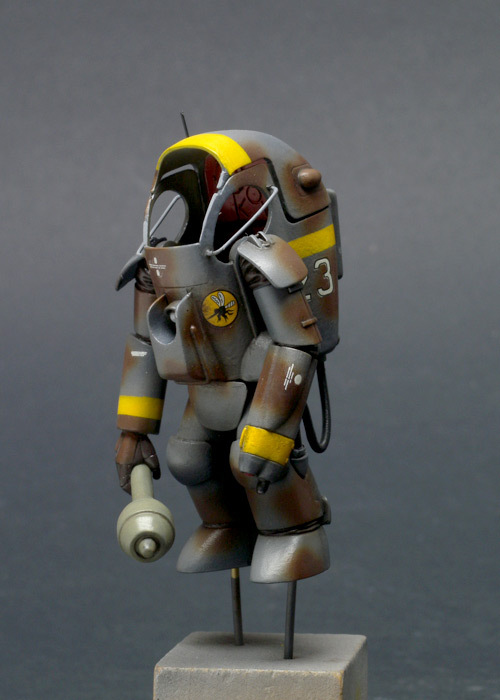 The Gustav was airbrushed with Tamiya Acrylics and weathered with artist's oils, SIN Filters, and acrylics. 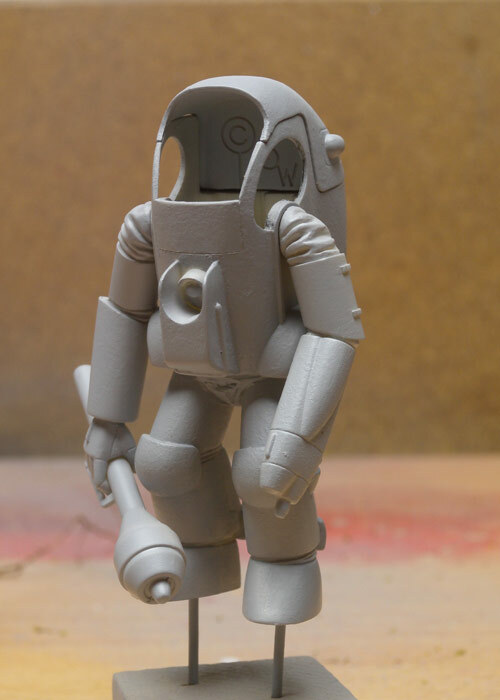 The base is a PVC fitting. 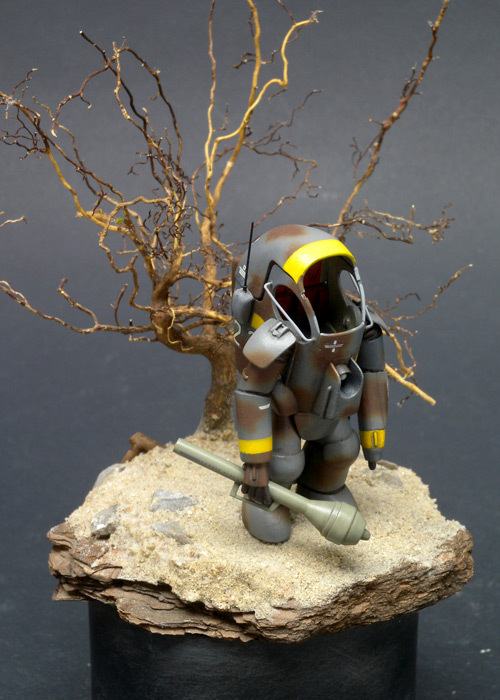 The groundwork is Acrylic Gel mixed with sand and plaster. 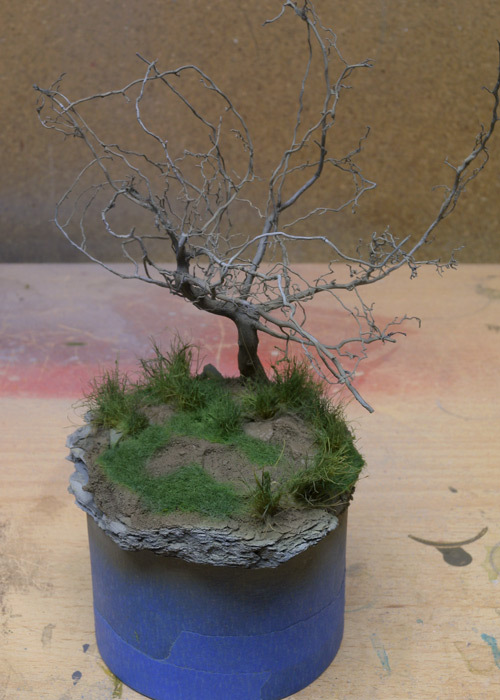 The tree is a plant root with Woodland Scenics synthetic foliage. 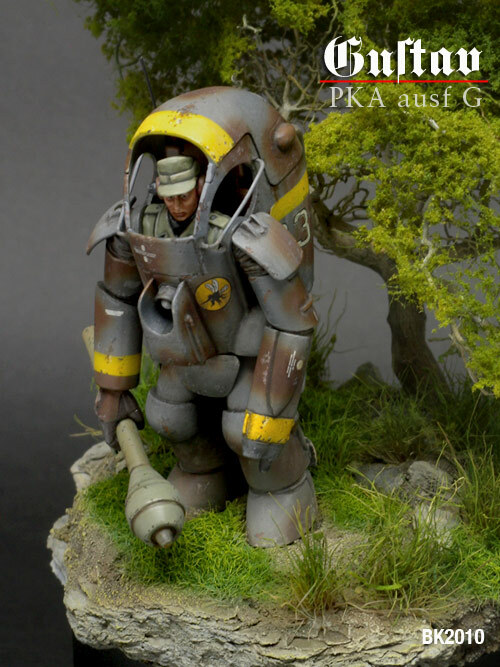 The grass is a mixture of WS Static Grass and seaweed fibers. 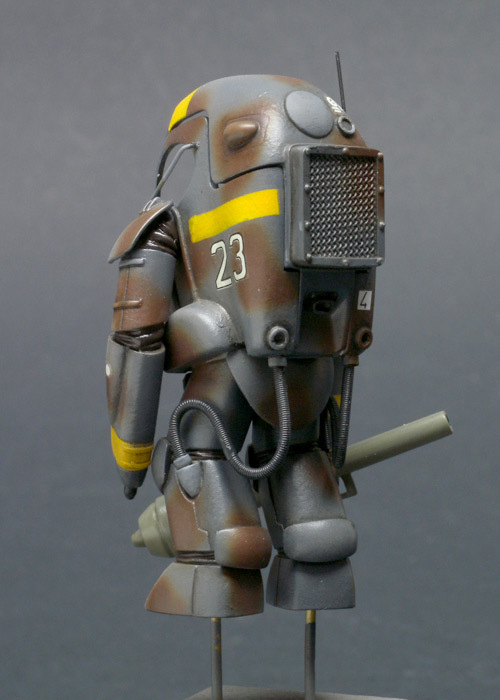 These were airbrushed with Tamiya Acrylics. 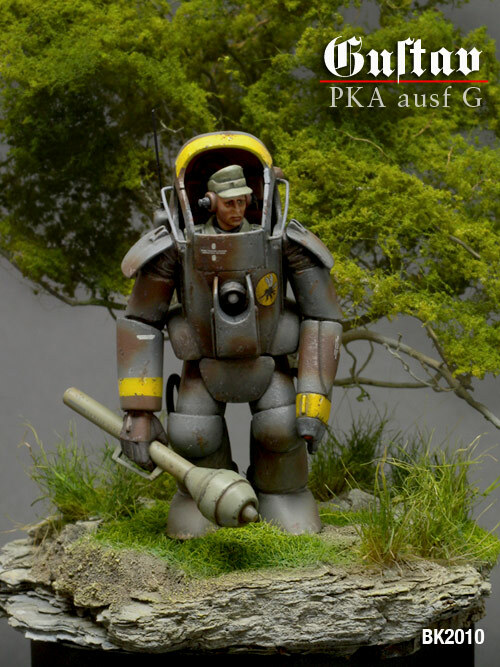 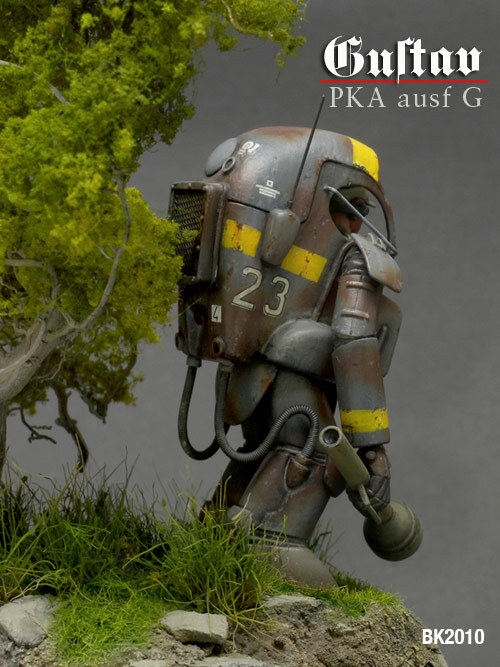 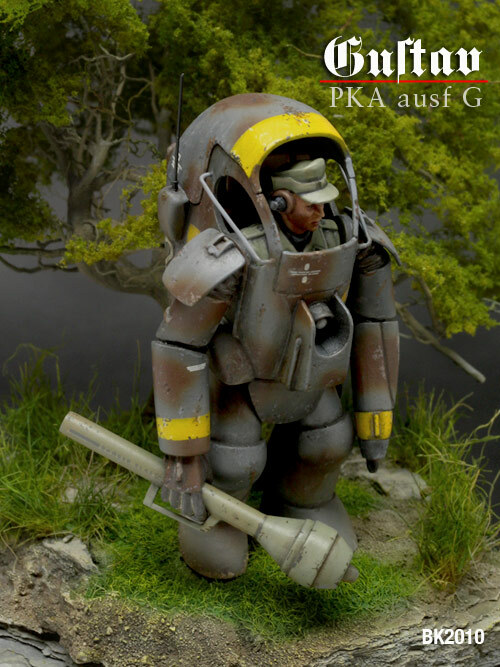 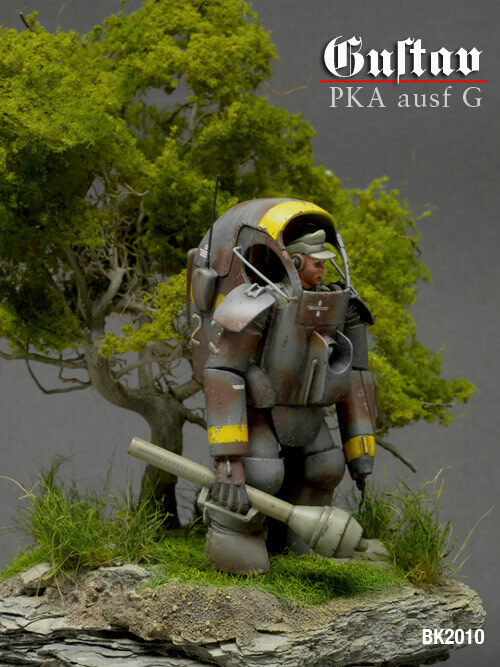 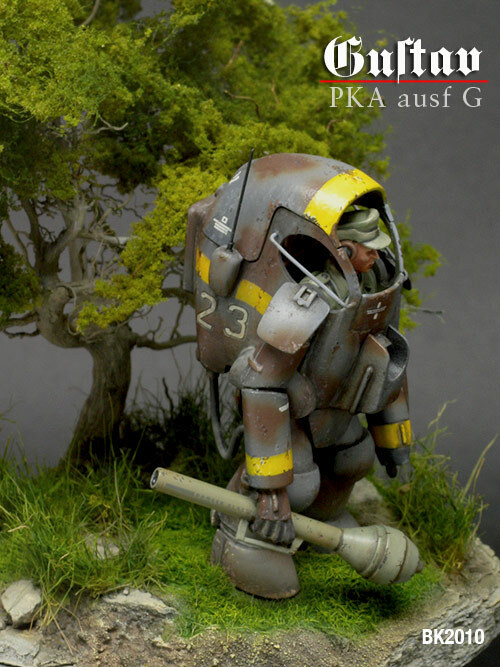 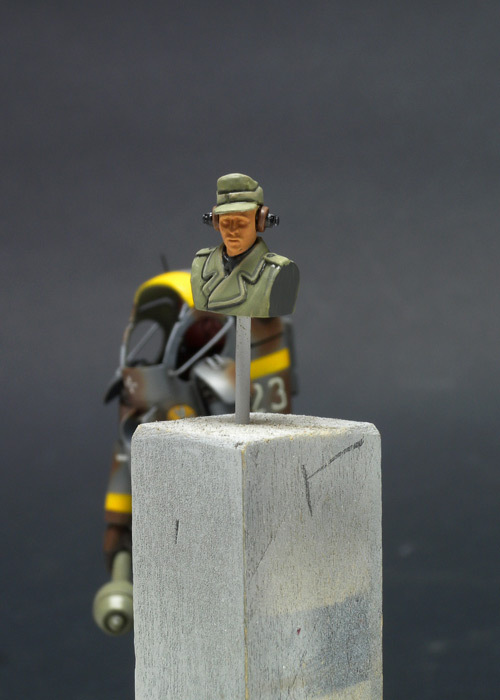 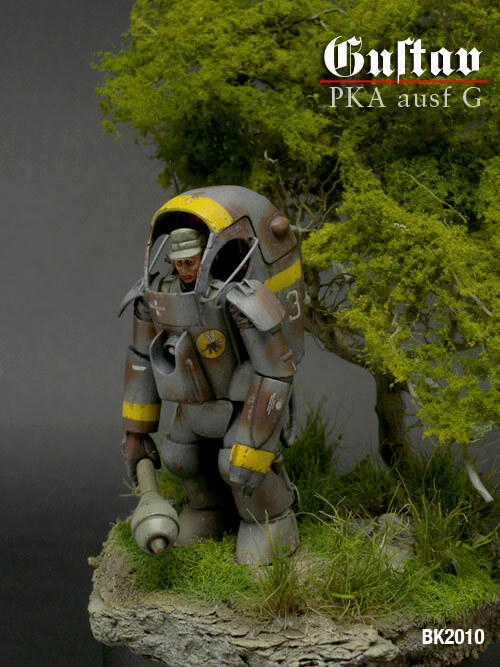 Below is a comparison shot with a 1/20 Scale PKA Ketzer.